Happy Birthday Ultima 9th years Online!!! Nine years of been here giving a place where everyone can enjoy and play. It's been a tough year with ups and down, with new great thing such new items and new changes to the server. It's not been easy but again here we are one more year. 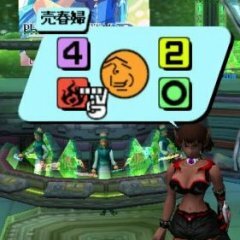 I want to thanks every user who plays pso with us, because with out you guys Ultima ship wouldn't be online. Also thanks to all the members of the staff who works really hard during the entire year to bring new content to everyone @Soly @kajex @Fyrewolf5 @serverus @Lemon @Cyane @Auli'i who helped with great skins this year and to all member who have help us in different aspects. We all know that what make Ultima a great place it's his community and that means, that you guys are the one who make this place a GREAT PLACE and Thank you for that! With no more further ado, we introduce the anniversary event. We have added 3 new items, hope you guys find them and like them. Event will be end by December 10 2017. --Enjoy.